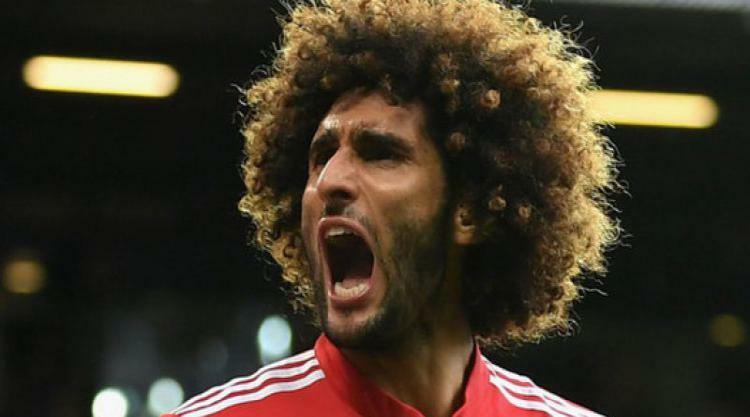 The race to sign Marouane Fellaini from Manchester United is hotting up - with Paris St Germain looking to take the 30-year-old, according to the Daily Mirror. The Belgian is out of contract at Old Trafford in the summer and is yet to agree a new deal, with Besiktas and Galatasaray also said to be keen on landing the midfielder. Manchester United will be rebuffed in their attempts to sign Juventus' attacking midfielder Paulo Dybala, the Independent reports. The club had been linked with a £60million move for the Argentina international, but the paper reports the Italian giants want more than £140m. After leaving Sheffield Wednesday on Christmas Eve, Carlos Carvalhal is being linked with the vacant hot-seat at Swansea, according to the Sun. The club are currently bottom of the Premier League, five points adrift of safety, and are looking to replace Paul Clement who was dismissed on December 20. Chelsea will square off against Bayern Munich in a race to sign Yannick Carrasco from Atletico Madrid, the Sun reports. The LaLiga side are looking at overhauling their squad and the 24-year-old is said to be heading for the exit door. West Ham will make a bid of £25million for Alfie Mawson in January, the Daily Mail says. The 23-year-old has shone in an otherwise bleak campaign for Swansea and the Hammers have already had an £18million bid rejected. Barcelona could well have a clear run at Atletico Madrid forward Antoine Griezmann as Manchester United will not rival their interest, reports Marca. Aldo Kalulu, a 21-year-old Lyon attacking midfielder is subject to interest from Norwich, France Football reports.